Lately, with the death of Roger Ebert and my own critical reflection on the role of each of us as critics, I’ve been thinking a lot about what we want to get from the experience. What makes us consume art, and what do we bring to the table from our own experiences? I wouldn’t say that I’m biased towards the Star Trek franchise in any way (many of the films and TV episodes are garbage), but I do have an affinity for this series more than I do for, say, the Star Wars films. Nor do I become rabid over changes in the the characters or story lines as iterations come and go (see for example the anger over adaptations like X Men: First Class that rewrite characters and origins stories). I also firmly believe that films live and die on the screen, and that asking people to “prepare” for seeing a film or telling people that you “get more out of it” if you’ve read the comic/book/etc. doesn’t excuse a bad film. All that baggage out of the way, your film experience with Into Darkness is really going to vary depending on how much you know about the original 1960’s television series and Star Trek II: The Wrath of Khan (which itself is somewhat dependent on the “Space Seed” episode of the original television series). I suppose your reaction as a critic and viewer depends on whether you are seeing a summer action movie with no conception of the Star Trek mythos, or if you are going to see what is essentially Star Trek XIII: The Wrath of Khan reimagined . At the core of Star Trek is the balance between the Federation, an alliance where everyone is friendly and civilized (at least outwardly), and the rest of the unknown universe, which McCoy summarizes in his own cantankerous way in Abrahams’ Star Trek (2009): “disease and danger wrapped in darkness and silence.” Unless your a damned fool, you have by now realized that almost everything in conventional science fiction is an effort to translate contemporary problems of our society and our ever-shifting conceptions of what is morally acceptable into a tableau of alien worlds, advanced civilizations, and technology that lets humans surpass one or more limitations or natural boundaries. In the case of Into Darkness the plot revolves around our response to terrorism and the human desire to avenge the wrongs done to their kind. In the Trek franchise, Starfleet is a contradiction in terms: a peace-loving group of explorers who are simultaneously responsible for patrolling the borders and destroying enemy threats as they arise. Throughout every story line, the fundamental tension is how to manage threat deterrence while preserving the freedom of the Federation’s citizens, avoiding overt hostilities with other peoples, and generally not turning the Federation into the very things it fights against. Recent American history has a lot to do with the amplification of these concerns throughout the past few iterations of the Trek franchise. Hence I find that McMillian’s review for Wired , especially his assertion that the plot is “scattershod,” to be a misreading of the film. 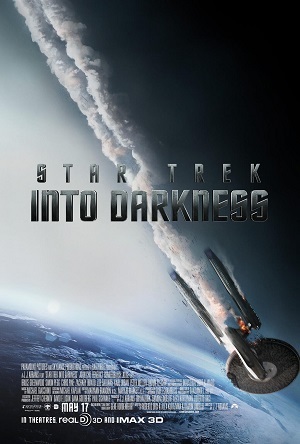 If anything, Into Darkness continues along the same plot line as the entire franchise up to this point, including the last film. The film begins with the terrorist bombing of a secret Federation facility in London (a facility very similar to secret U.S. intelligence facilities documented by Frontline/Pro Publica over the last few years). After that, the Starfleet commander’s plan to extract vengeance and protect against further alien threats is elaborated on by degrees that are less “plot twists” than elements we’ve come to expect from the reboot franchise (e.g. a shift from exploration to militarization, paranoid xenophobia, secret extralegal intelligence organizations, etc.). This returns to the dilemma I am concerned with: are you watching this a standalone film or as part of a larger series? Those who saw the last film will remember that the Federation of this alternate timeline was just attacked by the rouge Romulans who destroyed Vulcan and killed billions of people. Is it that much of a plot twist that the Federation has been secretly planning an aggressive defense strategy? Apart from dethawing the 20th century supermen to fight their secret war against the antagonistic Klingons, there’s not much out of the blue here, except for the fact that Khan is inexplicably a white Briton as opposed to a Latino man playing a Sikh. Did the writers, as McMillian suggests, miss opportunities to comment more on the social issues of our day? I believe they certainly did. But releasing this film in the summer requires a certain balance between action/adventure (that appeals to a broad audience) and introspective science fiction (that typically draws worse reviews and lower box office takes). I’ve talked before on this blog about hard versus soft sci-fi, and people typically go to theaters in droves for action-driven, hard sci-fi. Crossing over into introspection, moralizing, and thought provoking conversations about the ethics of interspecies relations would be inappropriate for this film and its goals. A valid question that I haven’t heard asked is whether the Trek style of introspection is really suited for the theaters. A motion picture is an entirely different beast than a television series, and reviewers of the first eleven Star Trek films tend to center on a single opinion: this film could have been a two-hour episode of Star Trek. Abrams’ films are both relieved of that burden and cursed with the baggage of taking a new direction. The original Trek series was very one-note in terms of its moralistic delivery system: typically a didactic chat by the main characters at the end of the show that often ended with highly forced laughter. Gene Roddenberry imagined a utopian society that used advanced technology to sweep away the ills of humanity, but it stemmed from the post-war optimism of the 1950s and turned a blind eye to the growing disillusionment with government resulting from the Vietnam war. The morals that were clumsily dispensed at the end of each episode praised humanity (often an embarrassing proxy for the United States) far more often than pointed out our flaws. I also think reviewers, after several series and numerous films, tend to forget the the original series was an action/adventure show; the budget didn’t allow for the flashy effects of Abrams’ films, but the ratio of fistfights to highminded debates was pretty close. 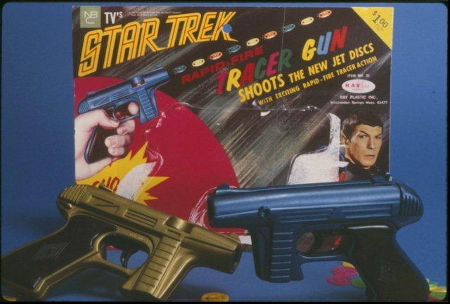 Later incarnations of the series in film held true to Roddenberry’s original action oriented vision, and largely fell flat towards the end with the excessive cheese that accompanies minor moral tribulations overcome with homespun ingenuity and fair play. In each of those films, there are staggering moral consequences dealt with and just as quickly brushed aside. For example, Star Trek: The Motion Picture (the first film) has to do with the dangers of forcing premature contact with the unknown. In that film, the deep space probe Voyager , long since forgotten, returns as an unstoppable juggernaut that was built by well-meaning artificial life forms in order to fulfill its mission and return to Earth to download its data; when it finds it can’t do that, it nearly destroys all life on Earth. By the logic of the above reviewers, we might expect a discussion at the end of the film about the dangers of recklessly shooting devices into deep space that make our existence known to life forms that are possibly far more advanced than ourselves, and whose intentions we have no way to predict. In fact, having any contact with any species is staggeringly dangerous, but sci-fi operates on the basis that we can accept and suspend our disbelief of those risks long enough to be entertained. If fans really want a “thinking man’s series” as AV Club reviewer A.A. Dowd seems to think, then a long-form television series is much better poised to deliver weighty discussions than films that come out once every two years or so. To return one more time to the “what do you expect?” question, I think that has a lot to do with your experience with the material and your expectations for engaging with the film. I don’t pick up issue 13 of a serialized comic, then get pissed off when I don’t get the inside jokes about a character from Detective Stories forty years ago. I guess the problem is that I wouldn’t pick up that comic at all, but in the age of serialization I suppose we should be asking whether that avoidance isn’t a good thing for films, television, and literature. Serialized narratives are nothing new, but they do present the barrier to entry that demarcates pop-culture cliques. I have never watched Breaking Bad or Mad Men or Arrested Development , and I’m probably not very likely to start; I have no stomach for watching 50 hours of television just so I can catch up with current episodes. If we view Into Darkness in the light of serialization, is it any surprise that it would have a similar barrier to entry? The “Easter eggs” and hidden callbacks to the original Trek series are more than just lip service to the fans. The film has the enormous responsibility of taking on the Trek cannon, which has been redone in numerous incarnations, and coming up with something that seems exciting and relevant to today’s audiences in roughly two-hour increments. This film, far from the crown jewel of Trekdom, is a serviceable entry that hearkens back to the cannon while offering the action movie with high quality visual effects that today’s audiences expect. 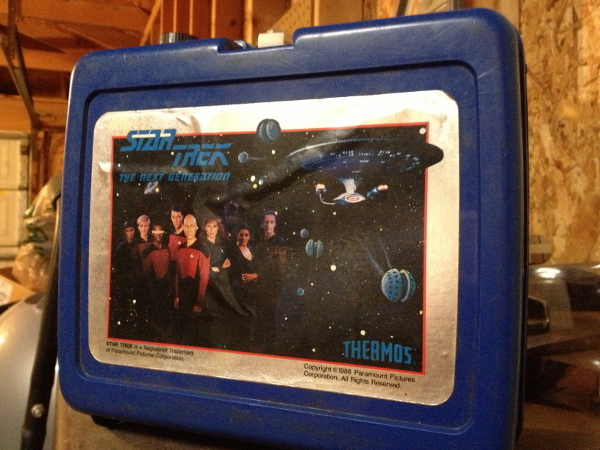 My Star Trek Next Gen lunchbox that my parents inexplicably kept for about 23 years, which I packed and drove home 500 miles with me last year. This proves without a doubt that I was the very coolest of kids in third grade.